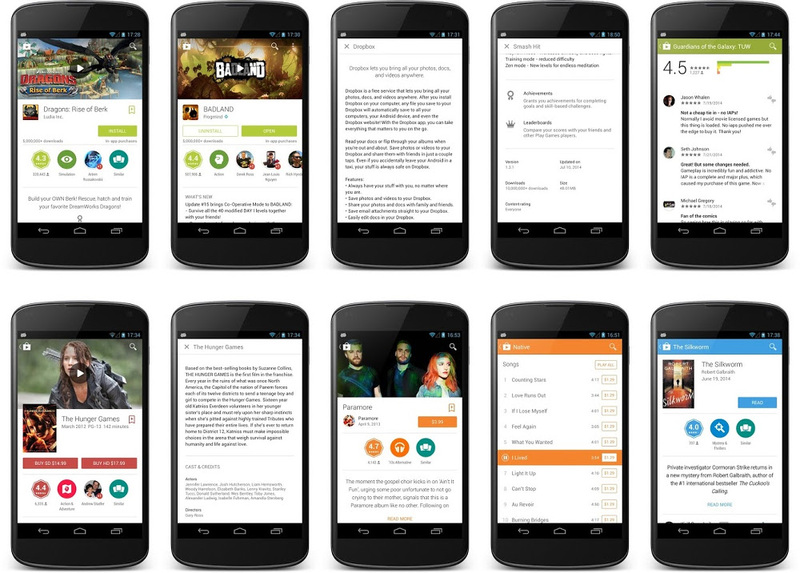 Android L : A Major (design and feature) Update. Finally the new version of Google Play has been released with a heck lot of improvement, It's more cleaner this time, with a lot of change in it's spacing design. You won't notice a change in the default screen, but once you jump to an individual app, book, album, or movie listing, you'll experience the new cleaner Google Play. The listings all appear to be designed with the Google's new "Material Design" taken in consideration. There is a change in the sliding and fading animations and now there's big cover logo for the listing which makes it an overall cleaner layout.